You know that working out is good for you. What you may not know is that it can be great for your bank balance, too. Exercise isn’t just a way to shed some calories a few times a week - it’s a way of leading a healthier lifestyle. With fitness comes both physical and psychological benefits - as well as financial. So how can getting in tip top shape help where money is concerned? 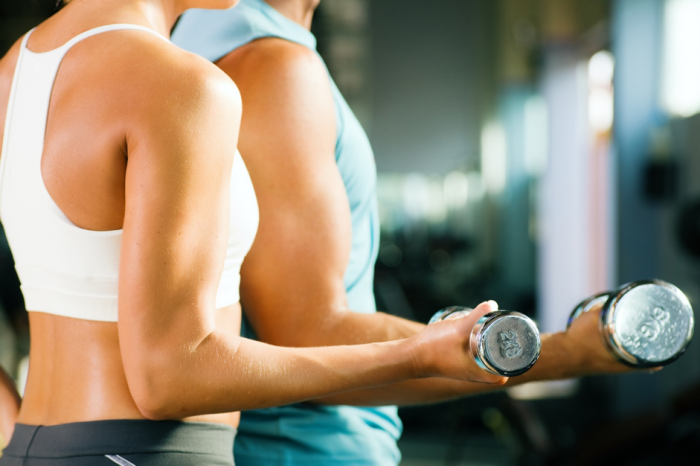 Here are just a few ways people who work out regularly can benefit with their budget. Exercising at least three times a week leads to a 6% higher salary for men, on average, and a 10% increase for women, according to studies. Why? When you’re working out regularly, you’re hiking up your productivity in turn - increasing the blood flow to your brain, sharpening your awareness and, in turn, boosting your performance at work. Better performance = better paycheck. We’ve all been there during that 3pm slump - when your eyelids are drooping and you’ve read over the same paragraph three times in a row now. The best thing to do? Go for a walk. Exercise not only boosts your energy levels, but it can help trigger solutions to problems and trigger bursts in creative thinking. The American Psychological Association found that walking increased more than 80% of participants’ creativity when they sat down to work afterwards. That new business idea you keep hitting a wall with? Work it out, literally! Fit and healthy people tend to have less sick days, research by the National Center for Biotechnology Information. A study in the Netherlands found that strenuous physical activity at least three times a week reduces the amount of time spent on sick leave. Time off work, of course, equates to lost income and lost opportunities for progression in the workplace. When sick days go up, so do medical claims and healthcare costs. In fact, obese adults spend more than 40% extra on the price of healthcare compared to adults who are a healthy weight. By investing in your health, fitness, nutrition and BMI, you’ll be helping save on visits to the doctor, tests, prescriptions, and hospital admissions. Going to the gym gives you access to hi-tech training equipment and amenities that you may not buy for your own home due to the cost. From amazing free weight equipment to top level cardio devices, gyms provide access to the best quality gear for a fraction of the prices it costs to buy it yourself. Book up with a personal trainer and you’ll also be helping to attain your fitness goals in the quickest time possible - something you may not have achieved from exercising at home.